In our previous post, we highlighted 5 ways you could save on your electronic bills and came up with an average savings of almost $150 a month. 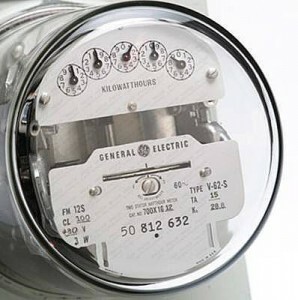 In this article, I will show you how to save money on your general utility bills. I am going to highlight a few ideas from each utility because there are hundreds of ways to save, but only the best ways save the most money. 1) Turn off your electronics when you are not using them. Off means completely unplugged not the “standby” mode. Guess what? Turning your appliances and electronics completely off will reduce energy consumption by 65%. That’s a whopping figure for such a simple task. I, personally, leave all my stuff on standby and will have to follow this rule more diligently. 2 computers, DVD, Wii, and microwave are on standby at all times. 2) If you’re in the market for a thermostat or if you’re thinking of the long term, a programmable thermostat is can do the trick. About 44% of every household’s electricity bill is from heating and cooling the house and a programmable thermostat can monitor temperature and reduce the cost of maintaining your favorite temperature by 20-30%. 3) My local newspaper always has advertisements about government giveaways for energy efficient light bulbs or lamps. All the light bulbs I have are energy efficient and cut light bulb consumption by 60- 80%. 4) Shop around for another energy provider. You’re not stuck with Edison. Sometimes, another provider in your area can give you a cheaper deal, sometimes for a saving of 15%. 1) Reduce the temperature on your water heater or insulate it to keep the temperature warm. Lowering the temperature to 120 degrees,For every 10 degrees you lower the temperature setting, you can reduce your bill 3% to 5%. 2) Most energy used for doing your laundry is for heating up the water. In order to reduce the amount of energy used for washing clothes, there are two alternatives: using less water (if you took chemistry, you should know that water has a very high heat capacity, so it takes a lot of energy to raise the temperature) or setting the temperature low. 3) Insulate efficiently and avoid drafts. Drafts are usually caused by unsealed ventilation ducts, so make sure you insulate them. Also, check for air leaks. I urge this step because stopping drafts can lower your energy bill drastically. The average American family of four uses over 250 gallons of water a day. Besides racking up costs on your water bill, its also good for the environment to save water. LA is actually doing a lot to save water and consumption has dipped 18% since last year to near 1980 levels. 1) Some people tell you to only wet your body in the shower and not to keep the water running all the time. I find this a little extreme. A better way is to use a low-flow shower head which can reduce water use during showers by 40%. 2) Turn off the faucet when brushing your teeth or shaving. This can save up to 5 gallons of water each 2 minute cycle. For a family of four, this can save as much 20 gallons a day, or about an 8% reduction. 3) Install an aerator in kitchen water faucets to reduce flow of water through the faucets. 4) If you need to water your lawn, make sure you are not wasting water. 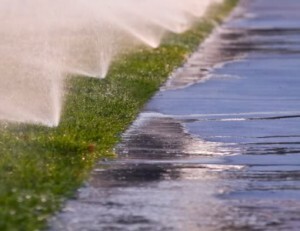 If you need to water the lawn, use just a little water (grass doesn’t need buckets and buckets). For trees, use a bucket to water, not a hose. 5) When doing laundry, reduce the water level to the amount that is just right. No need to go large load every time. A regular laundry uses 40- 50 gallons a wash. Following this method can save you 10 – 15 gallons each time you do laundry. 6) Do you let the water run out until it becomes warm enough for use? If you are only going to need a little warm water, why not heat it in a kettle? It won’t take more than a few minutes and can save you a lot of money. There are more ways to save money on all your utility ways, but just following these few tips will decrease your usage on all three utilities by at least 50% (and up to 80%) – translating to a 50% reduction on your overall bills. Nationally, the average monthly cost for gas, water, and electricity is about $220. Cutting this cost by 50% will add another $110 bucks in your pocket a month. My last article showed you how to save a total of $140 a month. Our current total savings is $250 a month. Check back in soon for the next article in the series “Saving Money on Groceries.” I have a lot to say in the upcoming article and will show you how to save a few hundred more by shopping smart. Good ideas. However, I personally do not understand the programable thermostat thing. I just turn the heat up when I want it up and turn it down when I want it down – works well for me. I actually have programable thermostats, however, I would rather do as I stated in my prior sentence. Every time you raise and lower the temperature, you are using energy. A programmable thermostat allows for fine tuning of the heating and cooling so that there is a program that automatically reduces heating and cooling in your home when you don’t need as much. For example, when you are at work.